Taxonomic Notes: Acrapex relicta Ferguson, 1991, n. sp. Generic placement is provisional. Journal of the Lepidopterists' Society, 45: 209-214. Ferguson, D.C., 1991. 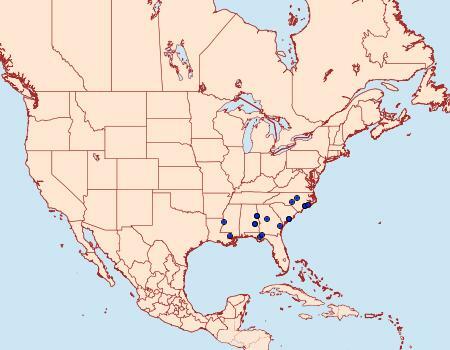 First record of the genus Acrapex from the New World, with description of a new species from the Carolinas and Virginia (Noctuidae: Amphipyrinae). Journal of the Lepidopterists' Society, 45(3): 209-214.